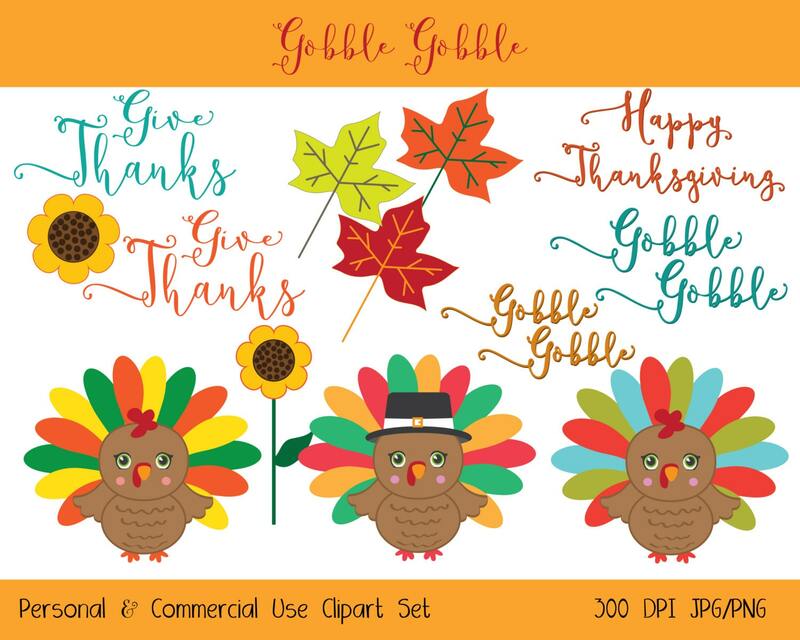 THANKSGIVING CLIP ART: Have fun creating with this Set of Cute TURKEYS & WORD ART Plus More Thanksgiving goodies! Turkeys, word art, Autumn leaves, Sunflowers and more. For personal and COMMERCIAL USE! No strings attached! Our clipart can be used for anything, any purpose. No need to ask! The ONLY thing not allowed, is to redistribute, share, or sell the actual clip art images directly in any way.